Your business’ Facebook profile is like a mini version of your website that Facebook users can discover and interact with, so you want to put your brand’s best foot forward at all times so you can grow your following and in turn, grow your customer base. One of the best ways to create a beautiful Facebook page that users want to follow, like, comment on and share is by using Facebook post templates. Facebook post templates are professionally designed digital assets that brands use to create beautiful, functional and consistent Facebook posts that tell their brand story. These templates are created by professional graphic designers, so they’re beautiful to look at and optimized to encourage user interactions, but the templates can be edited by brands, typically via programs like Adobe Photoshop or Canva, so the brands can tailor them to fit their own needs and styles. Note: Don’t know the Photoshop basics? Check out the beginner Photoshop tutorials on Skillshare to get started. We’ve curated the best Photoshops basics Skillshare classes in our Best Skillshare Classes For Ecommerce Business Merchants article, amongst other great classes for ecommerce entrepreneurs to take. So no matter whether you’re creating cover photos and profile pictures for your brand’s Facebook account, or posts and ads to catch the attention of Facebook users, these Facebook post templates can easily be customized and edited (by you!) to suit your exact needs. As with our 25 Gorgeous Instagram Templates for Ecommerce Businesses article, we sourced these Facebook post templates from Creative Market, a design marketplace that makes it easier for ecommerce business owners to manage all of the design demands of their business without having any formal graphic design training. We highly recommend checking out Creative Market for any and all graphic design assets your business might need like logos, stock photos, social media templates, fonts and more, and we even have an entire Creative Market review dedicated to the service for those interested in learning more about the features and services Creative Market offers. If you’re ready to create beautiful Facebook posts for your brand’s Facebook page that look like they were created by professionals themselves, then check out these top 10 Facebook post templates. A classic design, these Facebook post templates are a good starting point for any ecommerce business. The Juniper Facebook template pack is a multi-purpose set of templates that includes plenty of whitespace and clean designs which makes them easily transferable from one niche to the next. Since the designs are so streamlined, they’ll give your Facebook page a beautifully professional look that’s sure to engage your visitors. This Facebook template pack includes 16 design variations in both Facebook post and cover photo styles, and they’re fully customizable so you can edit all the images, fonts, colors and elements to create the exact posts you’re looking to create. They are, however, made to be used as-is, so if you want as little editing to do as possible, these are great Facebook post templates to work with. All of the images you see on the product page are included with the pack, so you’ll be able to use them in your Facebook posts if you wish. The fonts are not included with the pack, but they are free to download and the links are included with the Facebook templates pack. You can easily edit these Facebook post templates in Photoshop or InDesign, and if you’re looking for a complete set of social media images that you can share across all your different profiles, then check out the corresponding Juniper Branding Bundle which includes magazine templates, portfolio templates, flyer templates, brochure templates, business card templates, Instagram templates and more. These modern Facebook post templates are perfect for businesses and brands with a contemporary aesthetic looking for lots of variety with their social media images. This pack of Facebook post templates includes 32 design variations for Facebook posts and Facebook cover photos and also includes free unlicensed images and all fonts have links to where they can be downloaded from. Each of the Facebook post templates can be edited to suit your own branding, such as by replacing any images, changing colors, using alternate fonts and any other elements to create unique Facebook posts to impress your customers with. These Facebook templates can be edited in Photoshop or InDesign, which is what makes the editing process so customizable and the quality of the posts so professional. For a more complete social media pack that not only includes the Facebook post templates but Instagram templates, blog image templates, Pinterest post templates and more, check out the Lumina Social Media Bundle here. To create a beautiful and varied Facebook feed with pleasant images that are muted, understated yet eye-catching, these are the Facebook templates to check out. Perfect for brands that err on the side of minimalism and are looking to cultivate a fresh and bright Facebook feed, the Naturalis Facebook post templates pack is likely to be exactly what you’re looking for. This Facebook post templates pack includes templates for both Facebook posts as well as Facebook cover photos so you can maintain consistent branding across your entire profile, and the pack also includes over 32 design variations that can be edited and customized to suit your brand entirely. This Facebook post templates pack is particularly unique because it includes over 50 professionally-shot, high-resolution images that are unlicensed and free to use by any brand that purchases this Facebook templates pack. Having this library of images to choose from can be exactly what you need to make a stellar impression on your Facebook audience by bringing high-quality content to your Facebook posts. These aren’t stock photos that you’ll find anywhere else so if you’re interested in incorporating these images into your Facebook posts, you’ll need to get this Facebook template pack! Like we mentioned in our Dropshipping 101: The Definitive Guide to Building a Dropshipping Business article, dropshipping is a majorly popular business model in the ecommerce industry due to its low-risk nature and accessible start-up potential. If you operate a business via dropshipping, or you plan to, these Facebook post templates were created specifically for your business model! These 50 ready-to-use designs were created to help ecommerce entrepreneurs drive more traffic and conversions to their site, so if that’s what you plan to do with your Facebook feed then you’re in the right place. This pack of Facebook templates includes 50 ready-to-use templates that are fully editable and customizable in Photoshop, and they also include free fonts and images so you can use them as they are without having to input your own. The designs are fully adaptable so they’ll work for any niche, no matter what kinds of products you’re dropshipping, and the images can be used for Facebook posts or Facebook cover photos so your branding can be consistent throughout your profile. If you have no experience with Photoshop and you need Facebook templates you can edit without it, we highly recommend checking out these Facebook post templates that are editable with Canva. It’s a more user-friendly editing service that can produce very similar results to Photoshop, and this Facebook template pack has been created especially for Canva users! This Facebook template pack is a great starting point for brands that want a little bit of everything as it includes 4 Facebook banner variations, 9 Facebook post variations, 4 Facebook Ad variations, an editable mood board template, how-to videos and bonus tips and resources. Create a cohesive Facebook feed with consistent cover photos, posts and ads that tell your brand story and will get Facebook users liking, sharing and commenting on your content. These Facebook post templates have been tailored specifically to business owners and brands who have created a Facebook group and are using it as a way to build a community and grow engagement, traffic and conversions to their site. Each Facebook template has been created with consistency in mind so that you can use this pack to create professional-looking content for your Facebook group without taking up too much of your precious time. This Facebook post templates pack includes 10 Facebook cover photo designs, 10 Facebook post/ad designs, all font links for easy downloads and an instructional PDF. While all the fonts, colors, images and elements of the Facebook templates are easily editable and can be customized to suit your brand, it’s important to note that this pack of Facebook post templates does not include any of the images shown on the product page. If you’re cultivating a Facebook group and want an inexpensive way to make it look as professional and put-together as possible, then check out these Facebook post templates. This is an edgy set of Facebook post templates for the brand that’s bold and pushes the envelope. This pack includes 10 Facebook banner designs, 10 Facebook cover photo designs, 10 minimal logo designs, 25 Facebook post banners, free unlicensed images and free fonts; each of which can be individually customized and edited to match your own branding. If you’re interested in a bundle that includes Facebook post templates as well as Instagram post and stories templates for a more complete social media branding strategy, then check out the corresponding Agenda Bundle pack. If you’re a brand with a big personality and want that to reflect in your Facebook posts, these are the Facebook post templates for you. For Facebook templates you just want to be able to set-and-forget, this is the Facebook template to check out. This set comes with 250 Facebook post templates that are pre-created with free fonts and images so you can use them as they are or edit them to suit your liking, and you can use them as Facebook posts, banners or cover photos because the dimensions are easy to edit and infinitely scalable to any size you like. If you’re a complete beginner, this pack of Facebook post templates also comes with a video tutorial on how to use the product and also a social media cheat sheet so you can edit and scale the images to the dimensions you need. If you just need Facebook post templates that are low-maintenance and no-fuss, check out this pack for great-quality templates in a large variety of styles. This is the ultimate kit for business owners and brands that want to put their best foot forward with a totally pro-looking Facebook profile. This bundle includes over 162 templates and it has it all: Facebook Ad banners that comply with Facebook advertising rules, Facebook post templates, Facebook cover photo templates, and a bonus of 5 birthday card templates that can be personalized and sent to friends, followers or customers on Facebook. Each of the templates are fully customizable and include free unlicensed photos and free fonts as well. This pack truly has it all and if you’re the type of brand that posts frequently or doesn’t want to repeat the same type of post too often, this pack has a wide variety of templates to choose from so you don’t have too many repeats. This pack of Facebook post templates includes 15 designs in three different sizes (for Facebook posts, Instagram posts and Twitter posts, respectively) which gives you a wide range of template options to use across your various social media platforms. You can maintain consistency across your Facebook profile with these 15 editable and customizable templates and the pack also includes free fonts that you can use in your posts as well. This pack of Facebook post templates does not include images so keep that in mind, but it’s easy to add your own in the editing process with free and unlicensed images you find online, like the ones from our 200+ Curated Graphic & Brand Design Resources article. Check out this pack of Facebook post templates for beautifully designed posts you can use across your various social platforms to grow your following and engage your audience. Beautiful, professional and well-designed Facebook posts can help you quickly grow your following, which can help you get more traffic to your website and subsequently, more conversions. Use this roundup of the top 10 Facebook post templates to find the right templates to suit your brand so you can create compelling images that tell your brand story and cultivate a beautiful feed that Facebook users will want to interact with. 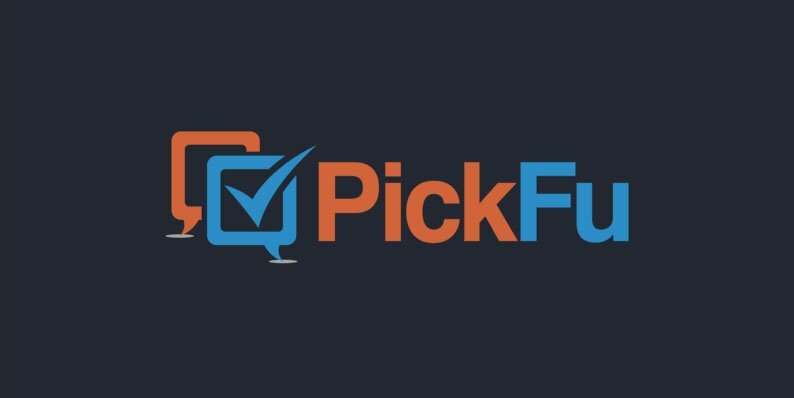 Test ideas for your online business with PickFu's audience polls & validate your business ideas, taglines, logos & more!